You cannot do business in Japan to any serious degree without getting people to trust you. Here are five simple steps – I won’t call them easy – that you can follow to make your task less difficult. Japanese people, as a broad rule, do not force their opinions down your throat. This is part of the culture. Japanese people, as a broad rule, very badly want you to hear, and listen to, their opinions. This, too, is part of the culture. You are not obligated to agree with them, but they really, really would appreciate you listening to their concerns. It makes them feel better. It makes them sense that you are respecting their beliefs as individuals, not just as part of the company hierarchy. It makes them feel whole, if you will. One of the most wonderful way to make a person feel like you’re actually listening, is to ask follow-up questions to probe deeper into a subject. Better still, this could get you information you could not have received initially. It is important to be patient and unravel things step by step. People who do not wear their hearts on their sleeves do not want to, as they say in English, spill their guts without some gentle prodding. Indeed, it should be gentle prodding; don’t be rude or mean. Curiosity and acting reasonable gets you a long way. As long as you show you’re willing and able to listen, there’s absolutely nothing wrong with advancing your own opinion. Don’t think your opinion will be taken as fact. On the other hand, sharing opinions shows different sides of yourself to the other person; in other words, you become a more memorable and vivid individual. This is how networks are formed. In Japanese business culture, networks are very important because personal trust is so important. Dealing with a stranger is always a touch and go thing with a lot of formality. If you can share opinions with a Japanese businessperson, and vice versa, you’re already well on your way to establishing trust. Now, this shouldn’t be done out of order; breaking the ice requires building trust in itself. However, once initial phases are complete, try to avoid the trap of treating “business” as the only part of business. In other words, the immediate business at hand is just a starting point. 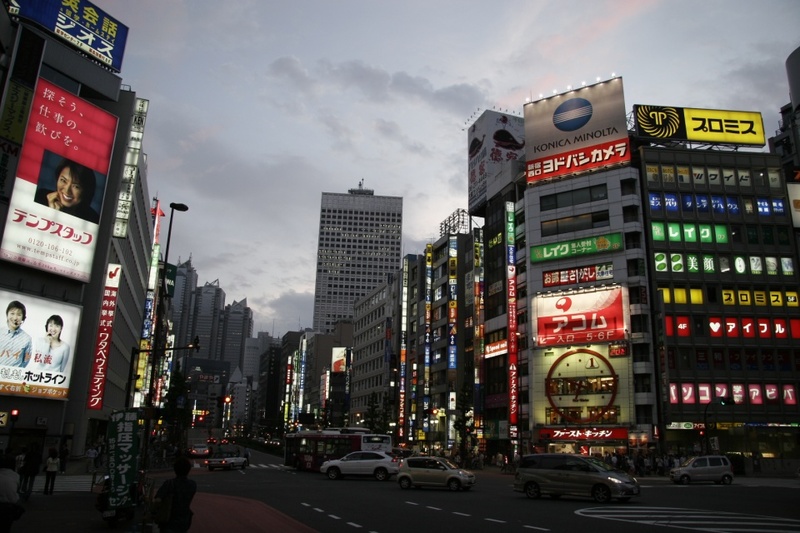 From the Japanese point of view, people make a business really work. It’s all right to show that you have a life, too. Mileage may vary but, what if you keep track of professional baseball? Do you pay attention to Japanese teams or just the American major leagues? Do you know about (insert Japanese player playing in Major League Baseball here)? Who do you think will win this year’s World Series? In a case like this, there is no “right” answer, nor should you invent one and fake it. In Japan, sincerity is considered a great virtue. Be true to yourself and have a little fun with questions that are intended to be a little fun. If you’re at this stage, it’s a good thing, not a waste of time. All of these steps can be done in English to some degree, but unless you are truly linguistically and culturally fluent in Japanese, you will benefit from the availability of an interpreter. This is more than likely a Japanese native speaker who speaks better English than most. This individual will understand all the nuances of Japanese and will try to put these nuances into English for your benefit as well as possible. Some nuance must be lost, if we’re talking strict translation, but a good interpreter focuses on what the Japanese speaker means, not on grammatic structure. In other words, you can get some information about the subtext. It’s still not a perfect process, so patience and flexibility are virtues. Here’s the real reason interpreters are great: Japanese natives with less than a full command of English will trust interpreters to convey the deeper message to you better than they can themselves. In other words, the interpreter is probably getting far more of the nuance than you are. Even if you don’t speak one word of Japanese, and the interpreter can only convey half of this deeper nuance to you, you’re still a long ways ahead of where you were by just relying on a non-native English speaker’s use of English. Keep in mind that language classes focus on polite speech. This is also true for English natives who are being taught Japanese. Anything outside of the narrow confines of polite speech must be learned beyond the textbooks. The resulting English is an imperfect tool for conveying the true opinion of a Japanese native, but an interpreter can guide you to at least get much closer. All of these steps are meant to convey consideration and respect for your Japanese business partners. I strongly advise you to sincerely do so, not just fake it. Broadly speaking, consideration and respect are things that Japanese people really want from you – and if they get it, they will provide you with much more trust in return. This opens the other party up to your message as a promoter of your own business. This has a direct bearing on your success. This entry was posted in Business, Culture, Japan, Japanese and tagged business, culture, Japan, Japanese. Bookmark the permalink.